The kids and I are having a blast so far this summer. 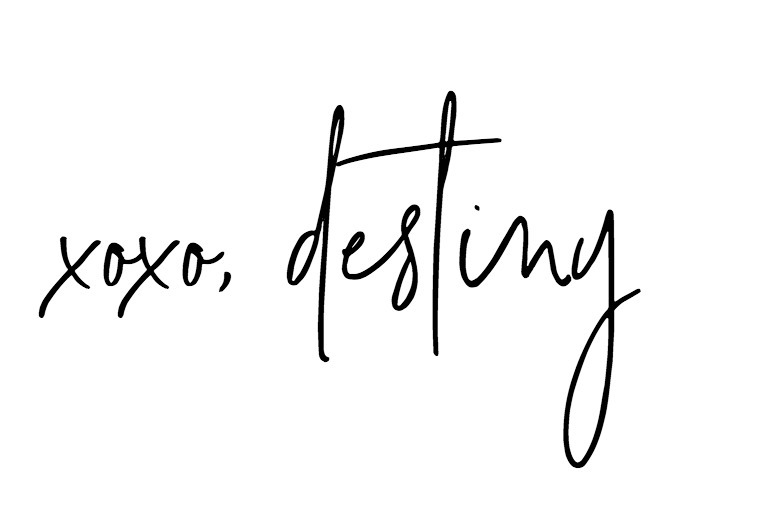 Taking some much needed time to do a whole lot of relaxing and sleeping in and a the same time keeping our days playful with friends, play dates, movies, outdoor stuff and even a little school work. We’ve also been trying every way possible to keep cool! The kids love pudding so it was a super easy decision to make up a few of these with the kids the other day while their cousin was over to play! They’re always begging me to help and I try my best to involve them in the cooking process and even thought it takes a little extra prep and patience, it’s a great way to give them some confidence in the kitchen! They seem naturally drawn to the kitchen, each one of my kids! Are yours? 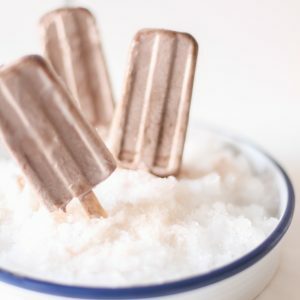 In addition to milk, I used some flavored coffee creamer from International Delight to give these pops even more of a creamy texture. BUT if your looking to make this recipe a little more diet friendly:0) I would just substitute the instant pudding for sugar free and also the coffee creamer to sugar free as well! I love all the flavored creamers they have now! Even though they had to wait awhile, it was WELL worth it. 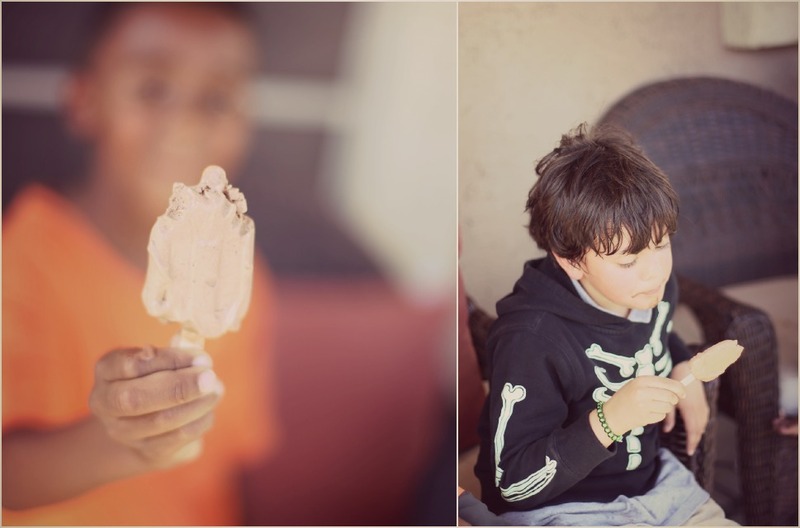 All you could hear was…nom nom nom and well, just look at those chocolate faces. 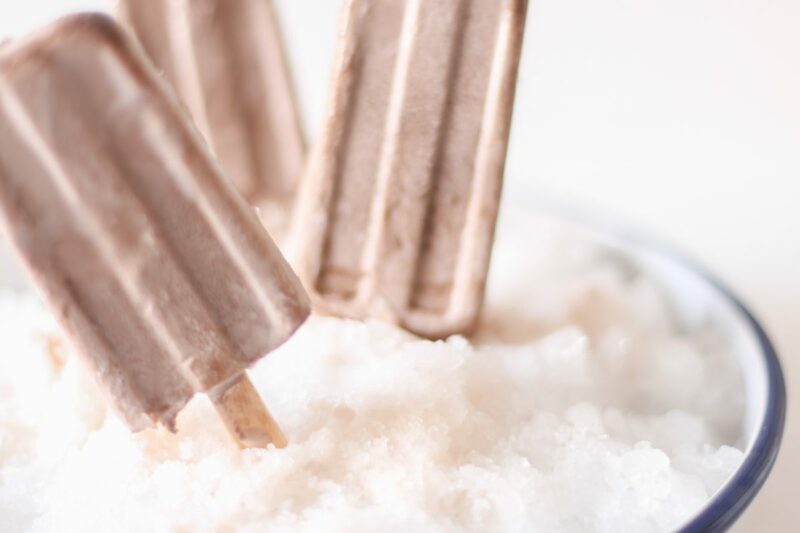 Check out the recipe below to make your own pudding pops this summer!!! 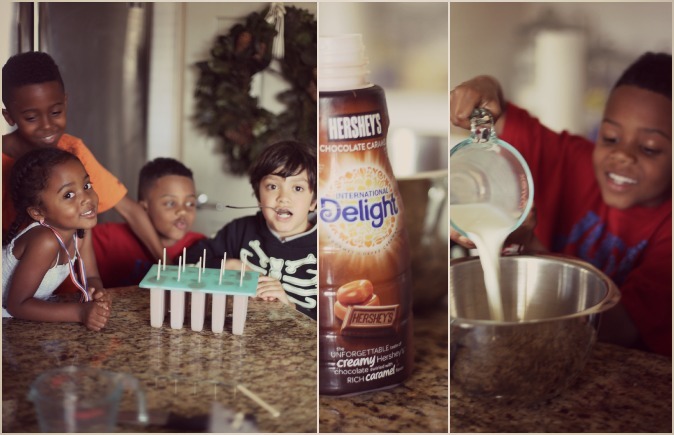 A yummy recipe for pudding pops with the added flavor of coffee creamer! Mix together pudding mix, milk and coffee creamer in medium bowl with whisk 2 min. Stir in COOL WHIP. 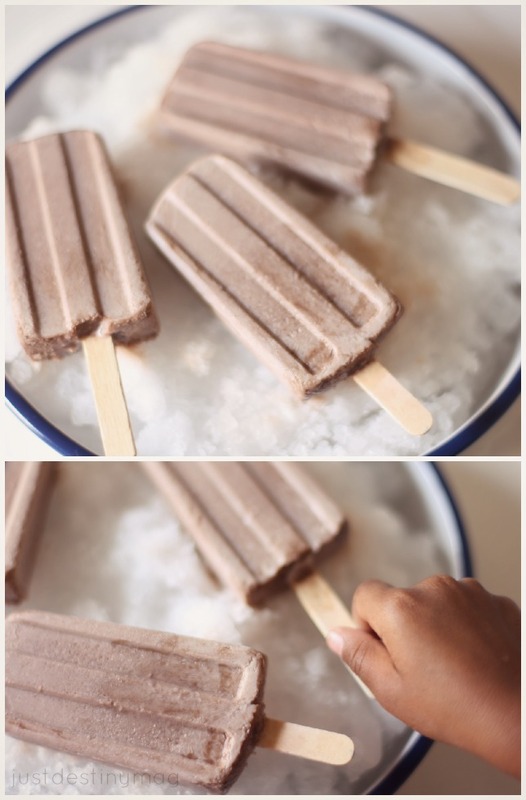 SPOON into popsicle molds or a paper cup. Insert wooden pop stick or plastic spoon in center of each cup. Place into the freezer for 4-24 hours or until firm. 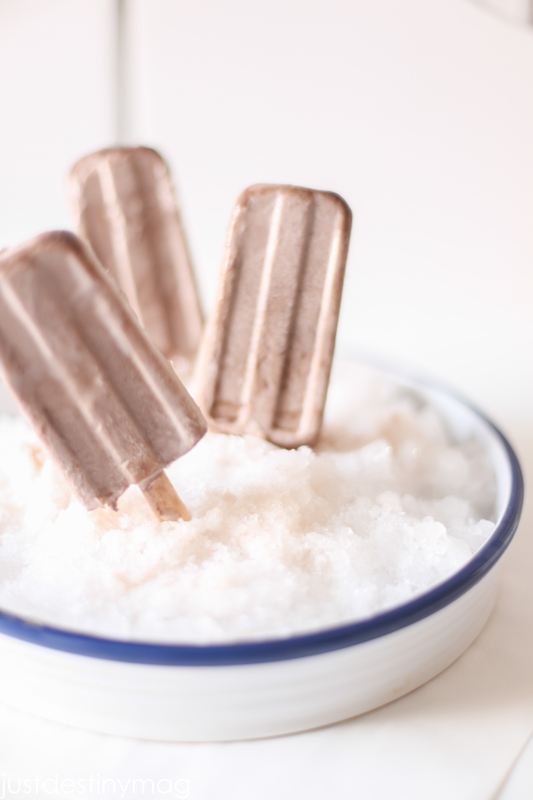 To easily remove popscicles from the mold, remove from the freezer and wait 10 minutes or until easy to remove. If using a paper cup, peel back cup. I’m so proud to be a International Delight Brand Ambassador! This year you will see me explore some of the amazing products that International Delight has to offer! Right now you can join the International Delight community at internationaldelight.com!